Get ready to say goodbye to your leather friend; PayPal has told TechRadar that we are still on track for a wallet-less shopping experience by 2016, at least if you choose to opt for mobile payments. 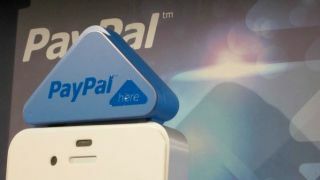 PayPal's Rob Skinner believes that a bold claim made in 2011 by the payments giant - namely that we could choose to ditch our wallets inside five years - is still 'very much on track' as mobile payment steadily seeps into our everyday lives. "We will see a big change," insisted Skinner. "We said 2016 would be the year you no longer need a wallet to shop on the high street and I think that's still true. "We made that prediction at the end of 2011 and I still think that we are absolutely on target for that. "Of course there's a caveat that it didn't mean you wouldn't have a wallet, but that it was a choice and the places that you go to would take mobile payment - that was the fundamental point." Of course, we're not there yet, and consumers will have to make a major shift in their behaviour as well as the shops that we all use on a daily basis getting with the 21st Century. "The hold-outs tend to be traditional retailers - you wouldn't go hungry or thirsty because it's pretty straightforward to get a coffee or a pizza - but that net is growing," added Skinner. "Increasingly you'll be able to buy your wardrobe - clothes, not the wooden container. Supermarkets are not there yet but I don't think that's going to be that far away. "I don't know [which supermarket brand] will be the first but increasingly the retailers are getting used to apps and consumers doing so much more with them on mobile." Obviously we'll be sad to no longer have a dog-eared receipt graveyard in our pockets or bags but we're looking forward to seeing if PayPal's claim comes to fruition.